The UC Arts Digital Lab is excited to announce the launch of a new and improved UC QuakeStudies earthquake research repository. 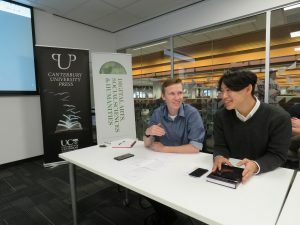 QuakeStudies, the University of Canterbury’s major contribution to the CEISMIC Canterbury Earthquakes Digital Archive, contains photographs, documents, videos, audio recordings, media articles, and other material relating to the 2010/2011 Canterbury earthquakes. Each item in the repository is accompanied by high-quality human-curated metadata such as descriptions, geolocations, and dates and times, offering rich datasets for researchers from a range of disciplines to draw on. 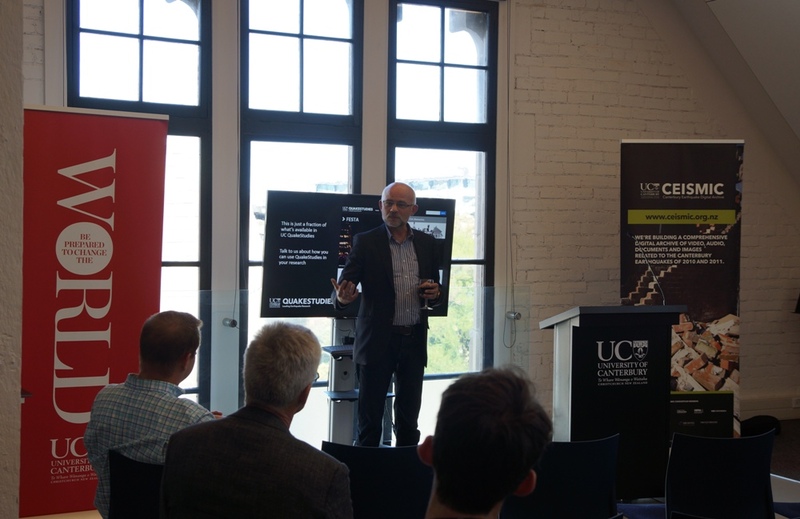 The project to update the QuakeStudies online platform was undertaken by the UC Arts Digital Lab in collaboration with local open source technologists Catalyst IT. The new QuakeStudies platform, built on the Islandora digital repository system, boasts enhanced searchability, improved document viewing tools, and a cleaner, more user-friendly layout offering greater navigability. 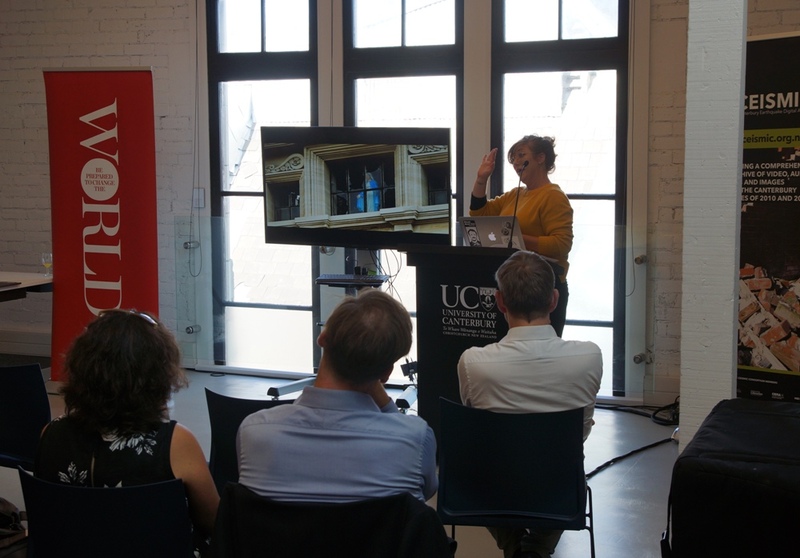 A launch event was held in the UC Arts City Location in the Arts Centre’s old Chemistry building last week, and was attended by representatives of the CEISMIC consortium from Christchurch City Council, Canterbury Museum and Christchurch City Libraries, contributors to the archive, and UC researchers keen to hear how the new QuakeStudies can assist them in their research. 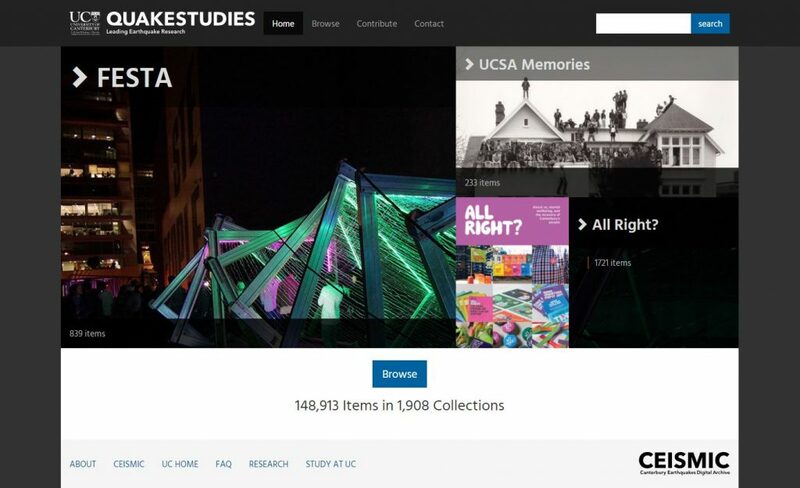 The Arts Digital Lab hopes researchers will find the new platform easier to search for, view, and download content that is of interest to them. Additionally, much of the content housed in QuakeStudies has been released under Creative Commons licenses, making it easier for researchers to reuse content in their own work. Researchers interested in exploring the breadth of content in QuakeStudies are encouraged to discuss their needs with Arts Digital Lab staff. With around 150,000 items in the repository, of which 12,000 are available only to approved researchers, the Lab team can help guide you to the content that will be most useful for your research. Six years on from the initial launch of UC QuakeStudies in 2012 the repository is still going strong, and it continues to grow and receive new content. This new upgrade ensures that the ongoing preservation of digital archival materials relating to the earthquakes will continue long into the future. If you’re a UC student interested in Digital Humanities, you might like to help us out with the Macdonald Dictionary crowdsourcing project, a feminist public history project being developed by Canterbury Museum and UC. 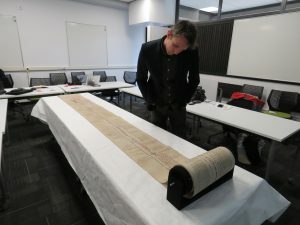 The project is transcribing names from handwritten index cards that document the biographies of European settlers in Canterbury. 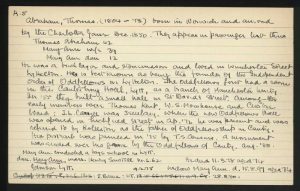 We aim to record the names of the women and children who are mostly absent from the collection’s existing metadata. There are over 12,000 cards, so it’s a pretty significant task! You can participate by dropping in to the UC Arts Digital Lab (Rm 414 in Karl Popper) between now and 10 November, 10:00am – 3:00pm. All you need to do is read and transcribe names from a brief handwritten text, then answer a few questions about the process. It’s fun! So, take a break from exam study, nab some Whittaker’s chocolate as a reward, and–most importantly–help us better understand our local history by bringing women out of the shadows. 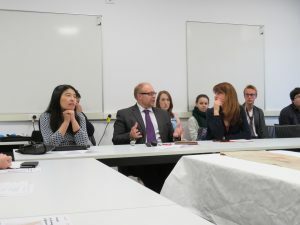 The University of Canterbury Digital Humanities (UCDH) Programme is excited to announce six weeks of Digital Humanities activity, anchored by the visit of Professor Alan Liu from the University of California Santa Barbara. Professor Liu will be visiting as a Fulbright Visiting Specialist from October 19 to November 29, with the generous support of the Fulbright Scholar Program. Professor Patricia Fumerton (UC Santa Barbara) will also stay with us as a Visiting Scholar in Residence, for the last two weeks of Alan’s visit. Patricia’s research interests centre on Early Modern culture and literature, and she will lead a trans-Tasman workshop on Early Modern digital humanities during her stay. We’re also delighted to have two Australian visitors who will be contributing to our conversations during this period: Assoc. Professor Tim Sherratt (University of Canberra, Trove), and Professor Paul Arthur (University of Western Sydney). Dr. Sydney Shep, Reader in Book History at Wai-te-Ata Press, Victoria University of Wellington, will participate in our discussion on cyberinfrastructure on November 12th. Details of these talks are listed in the schedule below, and we’ll be posting more about our visitors soon. Alan is a Professor in the English Department at the University of California, Santa Barbara, and an affiliated faculty member of UCSB’s Media Arts & Technology graduate program. Previously, he was on the faculty of Yale University’s English Department and British Studies Program. He began his research in the field of British romantic literature and art. His first book, Wordsworth: The Sense of History (Stanford Univ. Press, 1989), explored the relation between the imaginative experiences of literature and history. In a series of theoretical essays in the 1990s, he explored cultural criticism, the “new historicism,” and postmodernism in contemporary literary studies. In 1994, when he started his Voice of the Shuttle web site for humanities research, he began to study information culture as a way to close the circuit between the literary or historical imagination and the technological imagination. In 2004, he published The Laws of Cool: Knowledge Work and the Culture of Information (University of Chicago Press). He also published his Local Transcendence: Essays on Postmodern Historicism and the Database (University of Chicago Press) in 2008. Everyone is welcome to attend our series of seminars and discussions, which will take place at the University of Canterbury, the University of Otago, and Victoria University of Wellington. Come prepared to extend both your own thinking, and ours! See below for details of the upcoming events. Please note, time and location for some events are yet to be confirmed. Undercroft 101 A manifesto for tactical DH research infrastructure A seminar by Assoc. Prof. Tim Sherratt, U. Canberra / Trove. University of Canterbury, Christchurch. Undercroft 101 Key Trends in DH & their challenge to the idea of the Humanities A public lecture by Prof. Alan Liu, UC Santa Barbara. University of Canterbury, Christchurch. Seminar Room, Ground Floor, Science Library Digital Interventions A seminar by Assoc. Prof. Tim Sherratt, University of Canberra / Trove. University of Otago, Dunedin. Undercroft 101 The Future of the Humanities A workshop led by Prof. Alan Liu, UC Santa Barbara. University of Canterbury, Christchurch. James Hight 210 Alan Liu, ‘Against the Cultural Singularity’, James Smithies, ‘Towards a Systems Analysis of the Humanities’, Paul Arthur ‘Smart Infrastructures for Cultural and Social Research’ followed by workshop The Frontiers of DH: Humanities Systems Infrastructure: Alan Liu, Paul Arthur, James Smithies followed by workshop discussion. University of Canterbury, Christchurch. 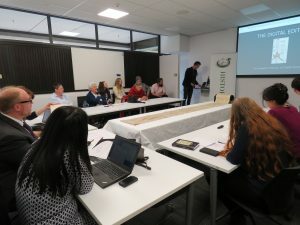 Popper 413 Open meeting Follow-up from Humanities Systems Infrastructure workshop University of Canterbury, Christchurch. 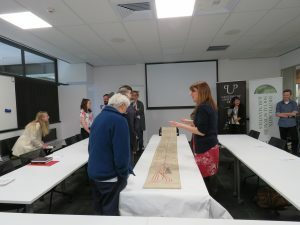 Undercroft 101 Early Modern DH: A Trans-tasman Conversation A workshop led by Prof. Patricia Fumerton, UC Santa Barbara. University of Canterbury, Christchurch. Time & Place TBC Broadside Ballads and Tactical Publics: ‘The Lady and the Blackamoor,’ 1570-1789 A public lecture by Prof. Patricia Fumerton, UC Santa Barbara. University of Otago, Dunedin. Fri. 27th November, 2-3 pm. Place TBC Literature+ A conversation about Alan Liu’s Literature+ course. University of Otago, Dunedin. Fri. 27th November, 5.15-6.15 pm. 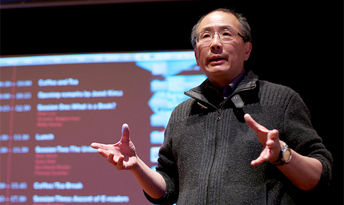 Place TBC What Everyone Says – 4Humanities A public lecture by Prof. Alan Liu, UC Santa Barbara. University of Otago, Dunedin. Being a little late to the game, I was only able to attend the first day of Kiwi PyCon, a day mostly consisting of sprints and tutorials, with the usual format of talks left to the Saturday and Sunday. This suited me well – as a bit of a Python fanatic, I was itching to sit down and write some code, to learn new tricks, and perfect my old ones. 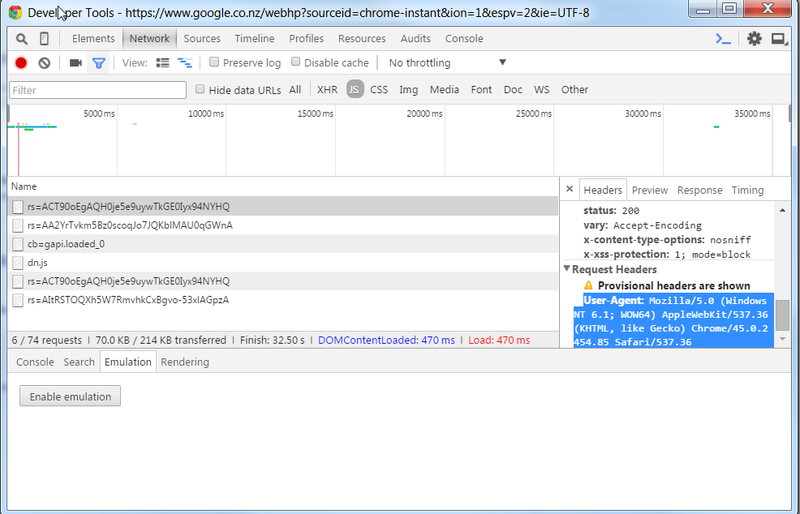 Once the html content has been retrieved, the next step is to parse it. This means finding the parts of a string (in this case a string of html) that we are interested in and organising them into a useful structure. Ackermann used BeautifulSoup4 for this step of the scraping – a Python library built for pulling data out of HTML and XML pages. In particular, the .find() and .find_all() methods are incredible useful, the first allowing you to retrieve the first instance of a tag, and the second retrieving every instance of a tag and storing it in a list. Ackermann used both of these methods to create a function for parsing urls from Stream. This function takes a string, such as the html from the url of one of stream’s games, and finds the name, price, currency, tags, and rating for that game. He also added some error exception to deal with 404s, timeouts, and pages not have price, tags, and names, and to clean up the data. Once we had a script that could parse data for one of Steam games, it was time to run it across all of the games. The simplest way of achieving this would be to write a for-loop, but this would require a lot of requests (around 100,000) and a lot of time (7 hours at 250ms per request). On top of this, most websites check logs and will ban IPs that make too many requests. Ackermann’s solution was to move to a parallel process. This part was somewhat harder for me to understand, having never tried parallel computing myself, and unfortunately we ran out of time. Basically Ackermann set up a server and created a bunch of online virtual machines (VMs). He got the server to send unique urls from Steam to the VMs and set them to retrieving and parsing the information. The VMs would then send it back to his server through a post request. This allowed him to run 100s of requests at once, cutting the time from hours to minutes. For a step by step guide to this tutorial, check out Ackerman’s slides. A huge thanks to Catalyst for sponsoring this year’s Kiwi PyCon. I really enjoyed the tutorials and meeting all the other python fans and developers. I hope next year I can attend again and get to hear the talks this time.